Spacious house in a tranquil setting with great harbor views. This house is configured with two bedrooms upstairs and two bedrooms downstairs. There are separate bathrooms and toilets on each level. Ideal for extended families or two families. The section is elevated with internal garage access as well as off street parking for a boat or extra cars. Only 2 minutes drive to the beach and shops, this is a lovely place to relax and enjoy the views. T.V (Free view) + Sky if you bring your own MY SKY CARD (P2 CARD), DVD player, Stereo with I Pod docking station, Microwave, Stove, Electric fry pan, BBQ, Washing machine, Clothes dryer, Portacot, Highchair and Toy box. Tea, coffee, sugar available. Please provide your own linen (sheets and towels) or linen can be provided for an extra $60. Cleaning expectations - Visitors to clean-up and leave the Bach as found or a cleaning service can be arranged for an extra $75. A minimum stay of 4 nights is required for Beach Hop Weekend. No smoking, No Pets. Families preferred as this house is situated in a quiet residential area. However it may not be suitable for very young children as the stairwell is not gated. We are a family of four mum, dad and two boys. Whangamata is a place we love to go to at the weekends to get away from our busy Auckland life style. The Family Retreat is our get away place that we hope you also enjoy. Lovely views of the water and close to the shops and beach it is a great place to relax. Area to park a boat and lovely views. Lovely Village of Whangamata about 2Km away. Firewood in the garage downstairs. Awesome views!! very comfortable and homely!! 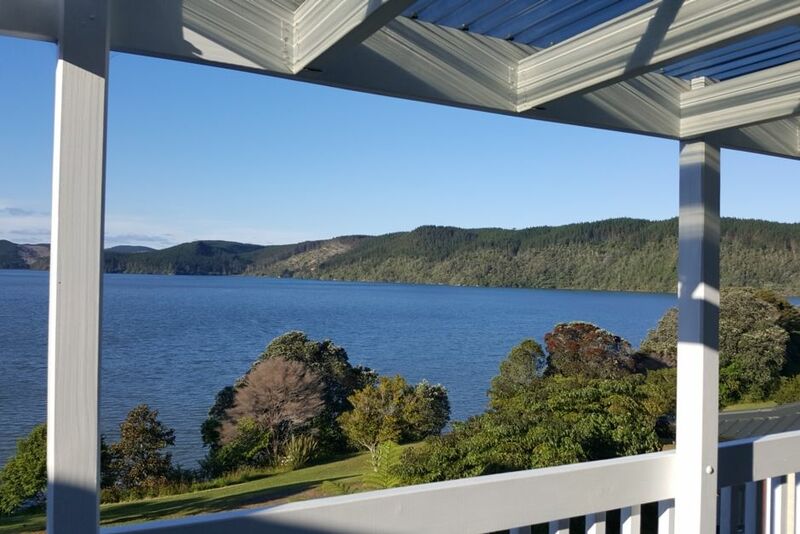 Loved the amazing sunset views across the estuary, lovely and comfortable home that had all the amenities. Will stay again if we were to come back to Whangamata. Would recommend to friends, fantastic!! Great place to stay with wonderful views. Driveway very steep though to walk up and down.